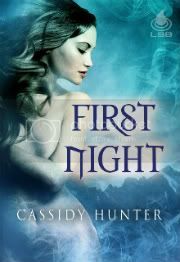 First Night was reviewed by Charity of Nocturne Reads and you can click here to read her full review. Thanks, Charity! **UPDATE: 2/12/12 I have changed my rating from 4 to a 4.5, because the e-book I mention below was replaced by one with correct font. 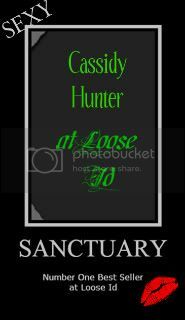 Thank you Cassidy Hunter and Liquid Silver Books! I will definitely be rereading this one! 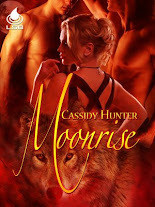 "First I want to point out that this book is a Paranormal Romance Erotica…and I loved it! This is definitely a 5 HOOT worthy book, but I had to settle on 4 HOOTS for two reasons. First the e-book copy I received switched between two fonts constantly, it was very hard on the eyes, and I had to put it down several times (when I didn’t want to) just to let my eyes rest. The second reason is the blurb. There was too much information in the blurb and it really took away the surprises. The connection between Mila and Lake is instant, even though they both want to fight it. It’s not a long story, but we get just enough to make their love and connection work. Overall this is a great story, definitely rereadable. I hope these cultures will be continued in a series." **Just want to let everyone know that the publisher is correcting the font as I write this. I apologize to anyone who has purchased the format with the different fonts!